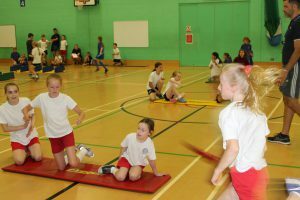 On Tuesday 10th July JMHS welcomed athletes from some of our feeder Primary schools to take part in the Janden indoor athletics trophy. 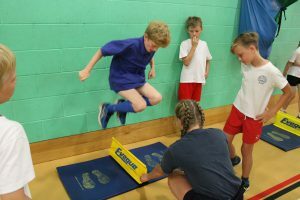 The event was fiercely competed with lots of amazing running and jumping and athleticism shown from the students from Ashperton, Bosbury, Colwall and Cradley. 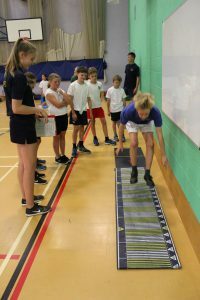 The competition came done to just one point, with Cradley emerging victorious once again. 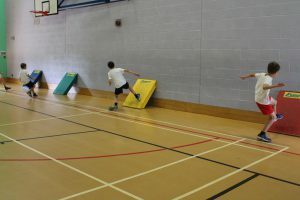 Our thanks to all the schools that took part and to the leaders from JMHS Year 10 who were utterly amazing.